We aren’t naive any more. We learned through the grassroots “shop local” campaigns that gained momentum in 2007 and went mainstream when American Express launched Small Business Saturday in 2010. We know that if we want our favorite independent retailers to stick around, we have to put our money where our mouths are or these stores will disappear. 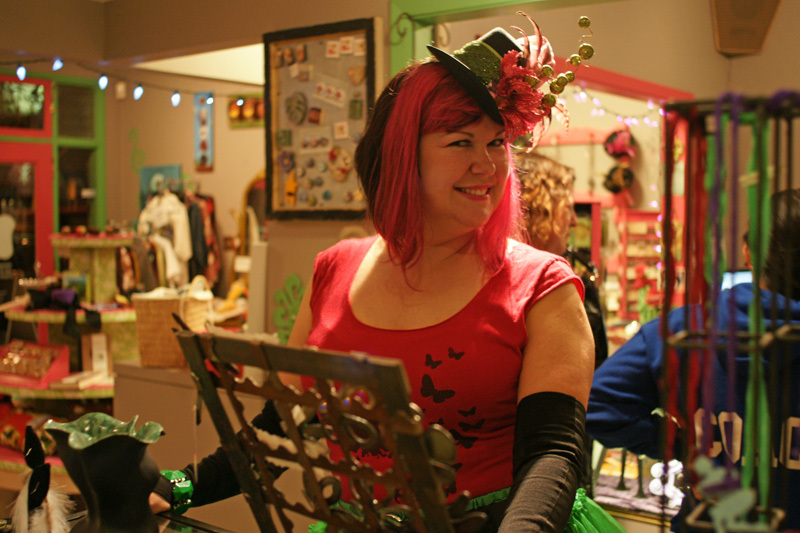 Meet Sheri Hauser, the owner of Tasty, an art and gift shop specializing in homemade, eclectic, and colorful collectibles located between the Greenwood and Phinney Ridge neighborhoods in Seattle. When you walk into her shop, you’re greeted by bright green and pink walls and artwork from familiar faces like Justin Hillgrove’s Imps & Monsters intermixed with sculptures created from found objects. There are necklaces made with the most divine gemstones and handmade patchwork pillows that you wish your grandma knew how to make. As you move through the store, the walls are adorned from top-to-bottom with a mix of vintage, retro, and rockabilly artwork and style. It’s like you walk into a classic 1950s neighborhood shop but with 1990s edge. On the last weekend before Christmas, I walked into Tasty for the first time. But before I could peek through the picture windows I saw the sign in big bold letters: CLOSING JANUARY 31, 2014. TASTY LOVES YOU, PHINNEYWOOD.